The Director General (DG) of the Federal Radio Corporation of Nigeria (FRCN), Dr. Mansur Liman has announced that FRCN will soon commence programmes in Kanuri language. 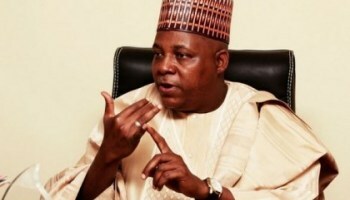 He disclosed this when he paid a courtesy call on Governor Kashim Shettima at the Government House, Maiduguri yesterday. Dr. Liman who said he was in Borno to show solidarity to the Government and people of the State over the security challenges being experienced over the years, appreciated Governor Kashim Shettima’s resilience and commitment to the restoration of peace in Borno and the northeast as a whole. He equally noted that the infrastructural development spread across the State in spite of the daunting challenges served as indices of good governance and service delivery to the people. The DG further commended the governor for his support to all the media outfits in the State, urging him to sustain the tempo. Responding, Governor Kashim Shettima described the Director General as world class scholar, acknowledging his zeal and commitment to the promotion of FRCN as demonstrated by his staff and their dedication to duty, citing the Government House correspondent Ali Chiroma Ibrahim as an example.